Pool liner coping strip kit replaces old, damaged, cracked or brittle strips for a tight secure liner fit. Liner coping simply installs on top of the pool wall and holds the pool liner in place. 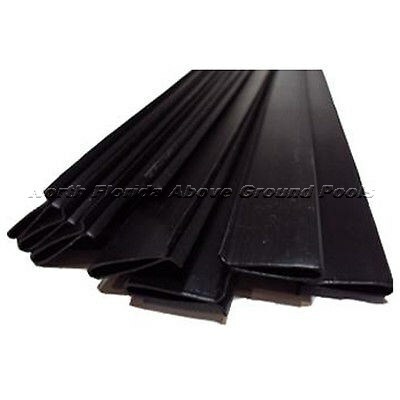 These are the flat style coping strips, sometimes described as V-shaped. It’s good practice to replace these items when changing a pool liner as they often become beat up over time. Don’t get stopped in the middle of your liner change because of crumbling coping. This is great affordable insurance.